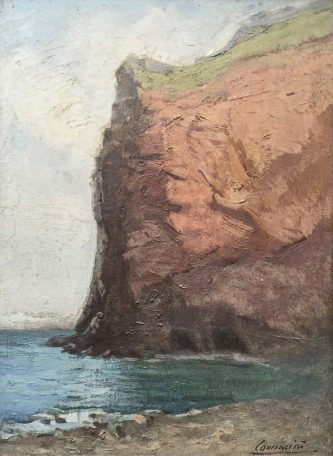 The Cliff’s Gaze departs from a nineteenth century painting by an unknown artist, which hung in my great-grand father’s desk in Valparaiso, Chile. 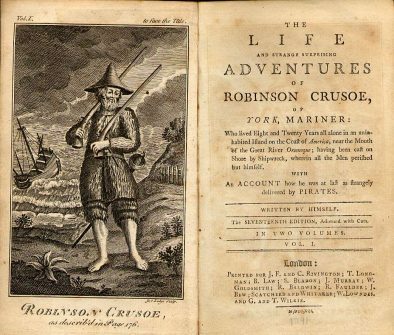 The painting depicts a romantic view of a cliff in Robinson Crusoe, an island that belongs to Archipelago Juan Fernandez, 670km west of San Antonio, Chile in the South Pacific Ocean. The archipelago was formed by ancient lava built though seismic episodes, with steep, rugged mountain ranges with deep peaks and practically no flat areas. The islands are sixty-one times richer in endemic plant species per square kilometer and thirteen times greater in endemic bird richness than the Galápagos. However, is one of most ecologically vulnerable ecosystems in the world due to invasive species that are destroying native plant and animal populations. The Cliff’s Gaze draws upon a series of historical narratives witnessed from and beyond the cliff: The adventures of scot sailor Alexander Selkirk who was marooned between 1704-1709; the fictional character of Crusoe and his handsome aboriginal subordinate Friday; the tales of seventeenth century pirates and eighteenth century buccaneers; the sinking of German cruiser SMS Dresden on 14 March 1915 by British forces; and the three tsunamis that have devastated the island. 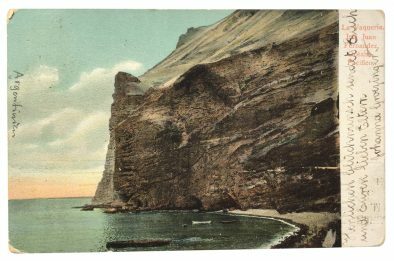 The Cliff’s Gaze is a quest for finding other visual representations of the cliff through archival research, such as drawings from nineteenth century botanists and travel postcards. These images will be juxtaposed with an eclectic collection of photographs of sites and objects taken with large format cameras in Britain, including: Llandoger Trow pub, Bristol where Defore supposedly met Selkik; the National Museums of Scotland where Selkik objects are displayed; and Royal Botanic Gardens Edinburgh where endemic plants of the island are kept. I ultimately seek to visit the island to find the cliff and create a create a unique photographic body of work.